The Saladin requires a breech lifting frame which attaches to the inside of the turret in order to remove the barrel. Does anyone have one that I can borrow, buy or copy. Also, any info on barrel removal would be most useful. 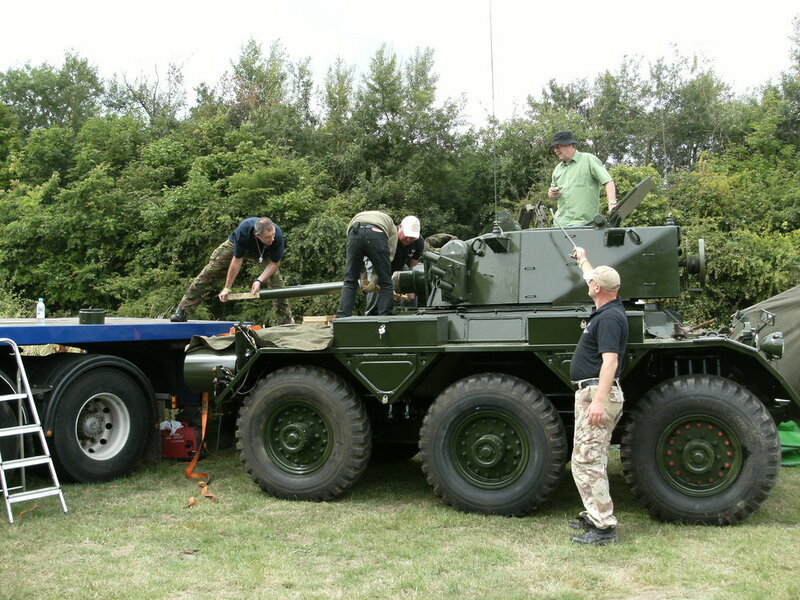 Here is a photo of the AFV group fitting my barrel into Saladin number 2 at W&P Beltring in July 2009. The breech ring was fitted by manual effort later. We didn't have a breech support attachment but it's not a big lift for 2 people.